Susanna Perry Gilmore enjoys a multifaceted career as solo artist and orchestral concertmaster. Performing on both modern and period instruments and versatile in diverse styles from classical to fiddling, she is hailed as a player who is both “thrilling and sensitive” by the Memphis Commercial Appeal, “luminous and hypnotic” by the Omaha World-Herald, and “authentic with exquisite good taste” and “rich in tone, bringing musical depth and a human touch” by the Cleveland Plain Dealer. After beginning her career as a chamber player, at the age of twenty-six Ms. Gilmore became concertmaster of the Memphis Symphony Orchestra. She joined the Omaha Symphony as concertmaster in 2011. 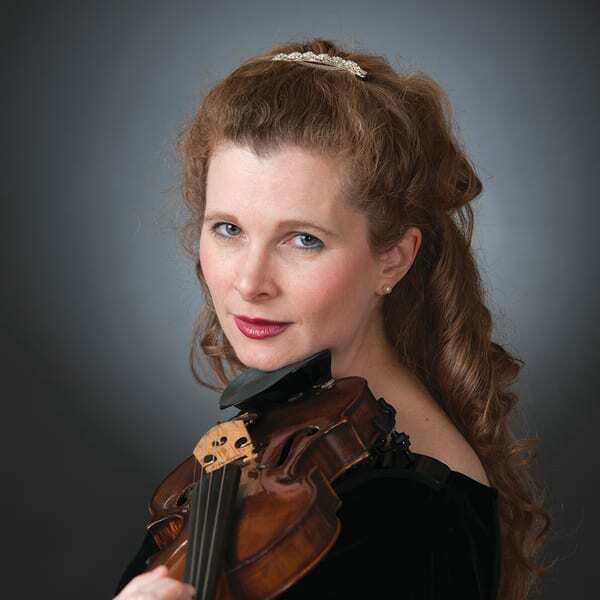 Since 2014 she has been a frequent guest violinist and co-concertmaster on baroque violin and fiddle with the acclaimed period instrument ensemble Apollo’s Fire (based in Cleveland), with whom she tours nationally and internationally. She appears on three of this group’s CDs: Sugarloaf Mountain: An Appalachian Gathering, Sephardic Journey: Wanderings of the Spanish Jews, and she is featured on solo fiddle on Apollo’s Fire’s latest CD, Christmas on Sugarloaf Mountain, released on the AVI Records. Ms. Gilmore holds a bachelor’s degree from Oxford University (UK), where she studied musicology and performed both early music and symphonic repertoire while studying privately with Yfrah Neaman. She spent a post-graduate year in the Advanced Solo Studies Program at the Guildhall School of Music and Drama in London. Upon returning to the United States, she earned a master’s in Violin Performance from the New England Conservatory, where she studied with James Buswell. Ms. Gilmore learned to play Celtic fiddle in her youth by sitting in on Irish sessions during her years living in Nashville and England. When not working as a classical and baroque violinist and fiddler, Ms. Gilmore spends time with her two daughters, Katy and Zoe. She performs on a 1776 Joseph Odoardi violin.